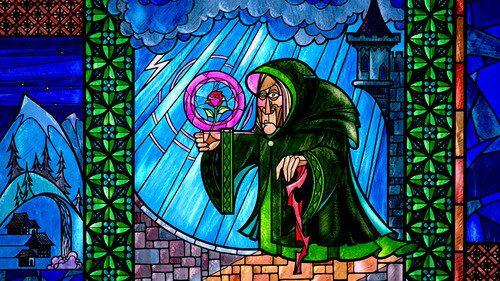 Stained Glass kertas dinding. . HD Wallpaper and background images in the Beauty and the Beast club tagged: photo beauty and the beast prologue stained glass beast rose castle. 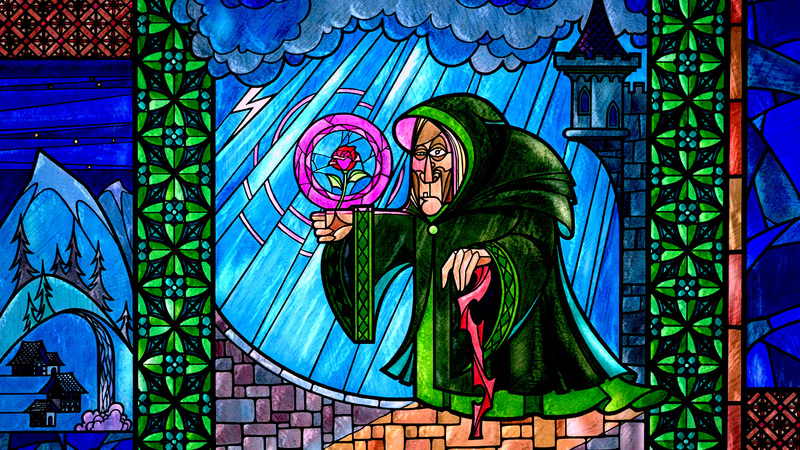 This Beauty and the Beast wallpaper contains anime, komik, manga, kartun, and buku komik. There might also be tingkap kaca berwarna and tetingkap kaca patri.